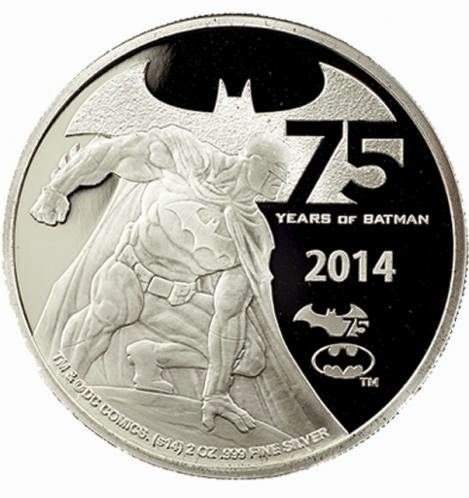 2014 is the 75th Anniversary of BATMAN, and to commemorate the event, the Island of Niue has authorized a series of legal tender, precious metal collectible coins featuring the Caped Crusader. Whatever you know him as, wherever you know him from - the blockbuster movies, TV shows, video games, cartoons, or millions of comics - BATMAN is proof you don’t need superpowers to be a DC SUPER HERO. 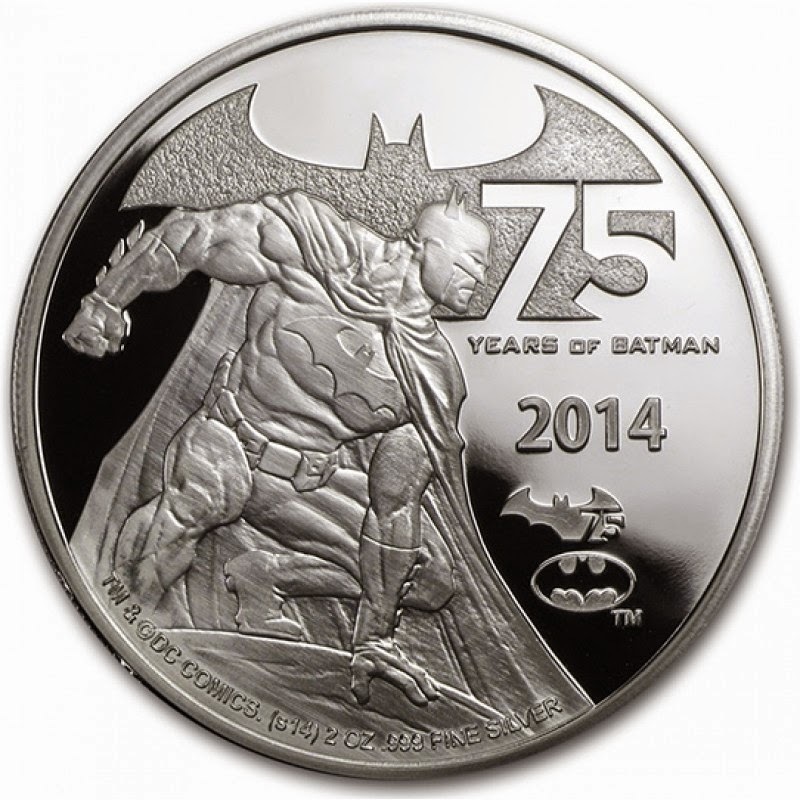 Each coin features Batman in action, engraved against a polished background. 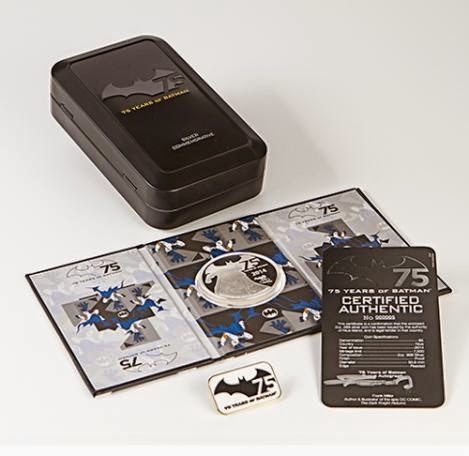 Augmented Reality App for mobile devices and tablets that launches from the coin - see an animated 3-D image of Batman and take a "selfie" with Batman!